Picking up where the first course left off, Step 1 Study & Life Skills 2 starts with cars. 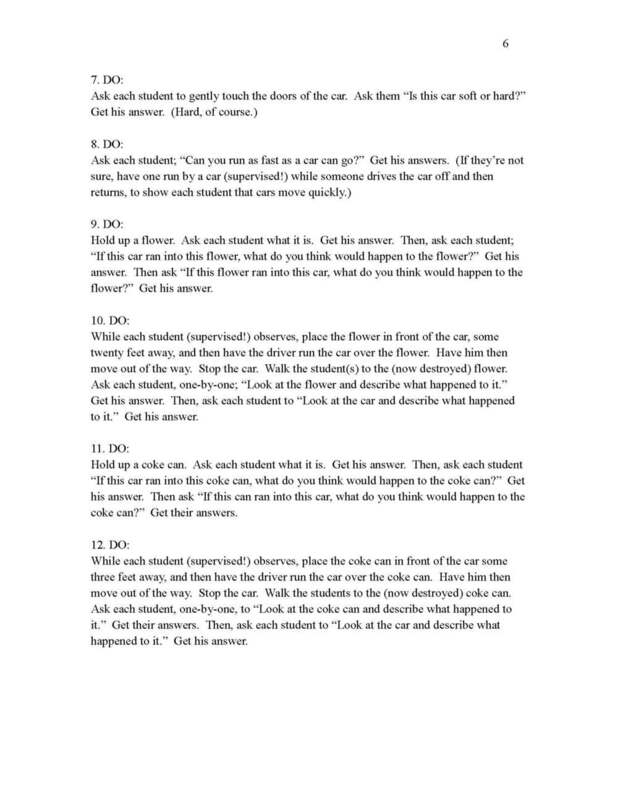 The student, through creative and fun exercises done with a tutor or parent/teacher’s aid, learns what is dangerous about a car, both from inside and outside of the car. They discover why it's a bad idea to make tons of noise while the car is in motion. This is followed by a section on safety while on the street. Where and when to cross streets is included, and what to do to be certain no moving car will be near while the student is walking or playing. Next follows the section on how to deal with strangers one meets while out and about. Rather than playing the "fear" card, the student is taught what to do when encountering a person they don't know. This is followed by a series of lessons on what sort of substances and objects to avoid playing with. Next, how to play with others so no one is hurt. This includes why we don't hit others, or let them hit us. Next follows more safety at home, including dealing with electricity, bathrooms, and water. The course demonstrates safety procedures for the Internet, and phones. It shows the student what to do when a stranger comes to the door. It works with the student to show him safety procedures he should use around a swimming pool, or around pets they don't know. Can all of this be taught to a preliterate student? Can it even be made fun to do? Study & Life Skills courses provide an answer to some of the great problems of parenting and of educating of the youngest student. 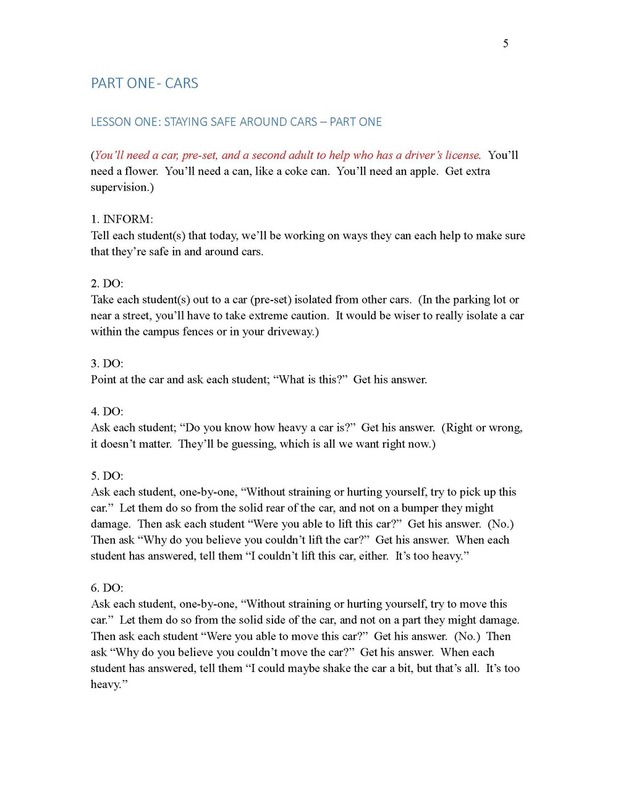 Twenty lessons on the essentials of safety, which round out Semester 1. About 10 weeks of study. Safety in and around cars. Safety on and around streets. How to deal with strangers. Dangerous "toys" like rocks, sticks, glass and nails. Safety around and on swings and slides. Safety while playing games on a playground. Why hitting is a bad idea. Gas and electricity and how to use them safely. The phone and Internet - how to stay safe. Answering the door when at home - whern and how to do it. Pets (yours and other peoples) and your safety.